Critically acclaimed drummer/percussionist, producer/composer, Josef Peters has written, performed, produced and scored countless television shows, films, trailers and commercial campaigns. Joey is recognized for his dynamic attention to musicality and detail and for his keen perception of what drives the visual. Always endeared to his original instrument, Josef created a niche market of unique tribal percussive cues favored for trailers. Some of these credits include: Taking Pelham 123, Terminator Salvation, Armored, Bangkok Dangerous, Beowulf, The Brave One, War, Suspect Zero, Bride Wars, Planet of the Apes, Fast Food Nation, Lost, and Apocalypto. His commercial campaigns run the gamut from quirky pop songs to emotional score, play nationally and internationally and include spots for Victoria’s Secret, Coke, Gillette, Toyota, Haagen-Dazs, Honda, Panasonic, Old Navy, Sony, Sure, Nikon, Verizon and Camry. Some of his recent TV credits include: True Blood, Entourage, (HBO) and American Gangster. Joey’s seminal band of many years, for which he was drummer/percussionist, Grant Lee Buffalo (GLB), released four CD’s on Warner Brothers (1992-1999) and toured extensively throughout the United States, Europe, Japan and Australia. GLB played with REM, The Cranberries, Pearl Jam and Smashing Pumpkins as well as headlined its own tours. GLB contributed songs for film and television: Friends (NBC), I Know What You Did Last Summer (Columbia/Tristar) With Honors (Warner Studios), Velvet Goldmine (Zenith/Single Cell/Killer Films) and is reuniting for a European tour, summer 2011, kicking off with a show at the Royal Festival Hall in London. 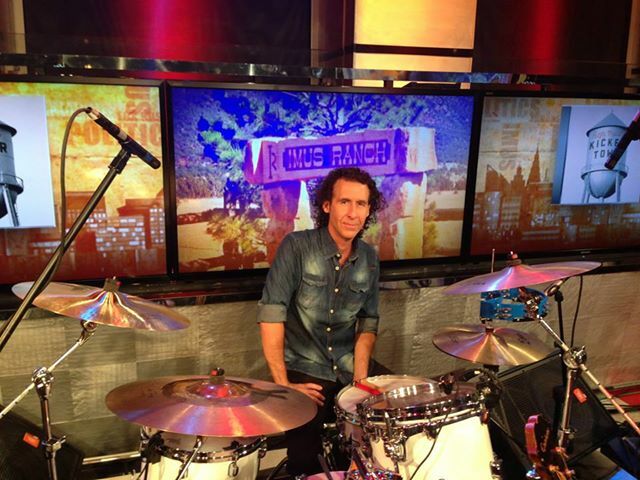 Not forgoing his love of live performance, Josef is involved as musical director and drummer for band, Rusty Truck, performing with Willie Nelson, Kenny Wayne Shepard and Seu Jorge. Rusty Truck’s debut CD includes tracks produced by: Willie Nelson, Lenny Kravitz, Jakob Dylan, Sheryl Crow, T-Bone Burnett, and Gillian Welch. 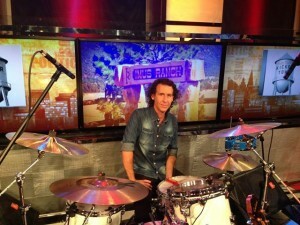 Rusty Truck has been featured on the Don Imus show, MTV Brazil and the Jimmy Kimmel show. Deemed a child prodigy by those in San Francisco’s music scene of the late seventies and early eighties, Joey stayed behind, when his parents moved from Santa Cruz, CA to Hawaii, to play with Charlie Musselwhite. While playing professionally by age 16, he simultaneously studied music at Cabrillo College then moved to Los Angeles in 1985.